Learn to Sew at the Bee! Are you a beginner with no experience? No problem! We start at the beginning and teach you how to use your sewing machine. Then learn to pick the right pattern to fit you, understand sewing terms, sew a seam, insert a zipper, make a buttonhole and so much more. Intermediate students will learn to alter patterns, work with knits and other fabrics, and learn new techniques to advance their sewing skills. 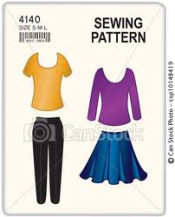 On-going sewing classes are offered Monday evenings from 6:00pm to 8:30pm ($15.00 per class) Classes are small to provide hands on instruction by experienced teachers. Sign up now - it's sew much fun!